When winter comes, the ice on the roads can make you shutter. As beautiful as the snow is and heralds the coming of the holiday season, it can turn into a treacherous risk for car drivers. Winter driving takes a lot of skill and expertise to drive in the snow and iced roads. Remember, it is better to drive slowly when you know the surface is covered with ice than to speed and risk your life. Even if there is snow and ice on the road, you just cannot put your life on hold. You still have to go about your normal routine – dropping kids to school, going to work, doing the shopping, picking up the laundry and going for business meetings. Before you head out in wintery conditions, make sure your headlights, taillights, brakes, and car heater are working optimally. Also, check the fuel tank to ensure you have sufficient fuel and some more, just in case. The last thing you need is your car stalling in the icy cold with no fuel. Remember, no fuel means no heating and this can be life-threatening if you are in the middle of nowhere. Always drive with your headlights turned on. Drive slowly, so that your car doesn’t skid if you have to react quickly. If there is an aggressive driver behind you, shift to one side and let the driver pass you. Maintain more than a car’s distance from the vehicle in front of you. In winter, it takes time for the brakes to react and this way, the distance will be sufficient to ensure your brakes react before you hit the car in front of you. If it starts snowing heavily and visibility becomes nil, it is best to find a safe place and wait until the conditions improve a bit. Use reflectors to inform other drivers that you are parked. 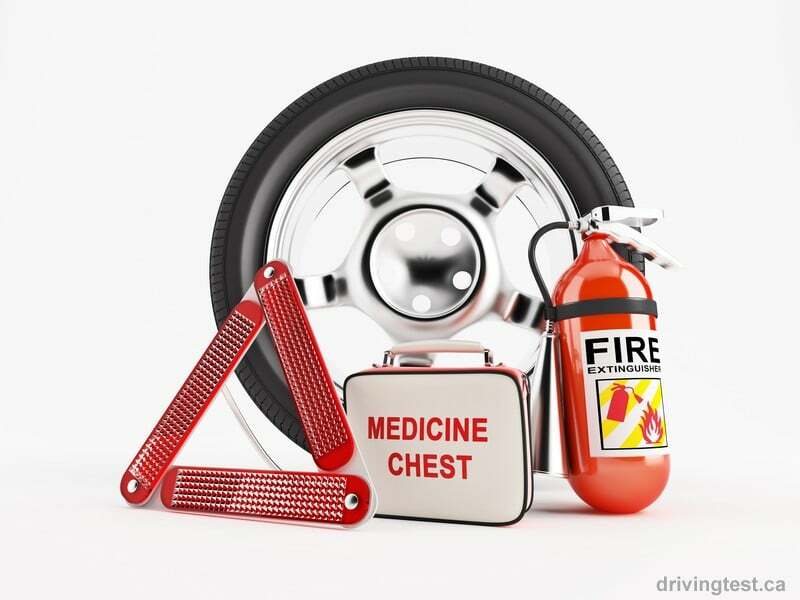 Besides checking your car and its different systems, make sure you also have an emergency kit for winter in your car. This kit could save your life if your car skids or stalls in the winter and you have to wait for help to reach you or if it is snowing too heavily to drive. People do not take emergency kit seriously until they are in a situation that demands one. Hence, don’t wait for something bad to happen before you put together an emergency kit. Make sure the kit is always present in your car. This way, you will have no cause for concern or worry should wintery conditions play havoc with your driving and day. Always check your emergency kit to ensure everything is working, especially the ice scraper, flashlight, and cell phone. A lot of people keep an emergency kit in their car, but never really check it. Why You need an Emergency Kit? If your car dies on you, the first thing you will do is call someone for help. However, if the weather conditions are severe, it will take time for the help to reach you. Under such circumstances, you should first ensure other vehicles can see that you are in distress and will take efforts to avoid you, thus preventing accidents. Furthermore, it is important you keep yourself warm while waiting in the car. You don’t want to get hypothermia or freeze to death. The extra clothing that you have could be instrumental in saving your life, especially if you are stranded in a place where there is no cell phone coverage. And, for some reason, if you have to spend the night in your car before help arrives, it is fantastic to have a sleeping bag and some energy-giving food to keep your calories up. It is your responsibility to ensure that your car can take the rigors of winter. However, even after that if something goes wrong due to extenuating factors, you need to be prepared. And, a proper emergency kit that you always have in your trunk will ensure that you have everything you need for your survival if things go south when you are out driving during the cold season. So, don’t mock your family and friends who keep going on about emergency kits. They have it right. It is one of the most important kits to have in your vehicle when you are going out (it could be the only kit). Make sure the kit is in place even if you are driving a short distance and have complete confidence in your winter driving abilities. It is better to be safe than sorry.